Its that time of year again! 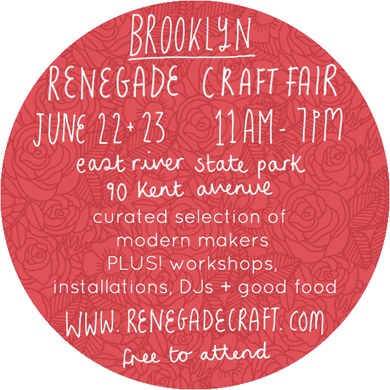 I am heading to Brooklyn for the 9th Annual Renegade Craft Fair in East River State Park! I will have the entire Fortune collection in green onyx, rainbow moonstone, lapis and labradorite. Stop by and say HI and pick up a little something special. Ill be handing out complimentary fail tote bags on all purchases over $100. Get all the details here. Hope to see you there!